So here’s what Medical Marketplaces, HealthTech and Telemedicine Companies need to know about Insurance. Healthcare is undergoing a tech revolution brought on by the new breed of venture-backed tech companies. You can now shop for your doctors with services like Zocdoc and Doctor.com which allow consumers to file through medical providers in their network based on written reviews and overall ratings in a Yelp-like fashion. With a single click, you can make an appointment and never have to pick up your phone. Receiving remote medical care is also becoming a norm these days with 15 million Americans having received some kind of medical attention outside of hospitals and clinics in 2015. Doctors can now monitor their patients (and their vitals) from hundreds and thousands of miles away. Physicians with Doctors without Borders in Sudan reach out to their global network of 280 healthcare providers for opinions on patients 5 to 10 times daily. Typically cheaper than going to the ER or seeing your physician, remote options also save you time. For example, Vytalize Health can get you a physician or nurse practitioner to your home within the hour. Healthtech is changing the game. So why aren’t more people using these services? According to a study done by HealthMine, 39% of “tech savvy” consumers still haven’t heard of telemedicine or healthtech. But as more people are hearing about it, they’re loving it. 93% of those polled who have used some sort of telemedicine say it has lowered their healthcare costs. Cost effective and convenient… sounds like an amazing business model. Say what?! In 2012, there was over $3b spent in medical malpractice payouts (that’s 1 payout every 45 minutes!!!) Yup. That’s right. Your doctor is probably great. Phew. There’s been a circulating myth that Medical Professional Liability Insurance (MedMal) claims are brought forth by patients who have no real injury. The claims are real, and the total number of payouts have steadily been on the rise since 2012. New York and California are some of the highest paying states on the list, spending $360m and $260m on malpractice suits in 2015 alone. The majority of these claims (33%) point to diagnosis as the root cause of the malpractice. Bottom Line: Medical Professional Liability claims aren’t going away anytime soon. “Wait, but I didn’t diagnose anyone, I just sent them to the doctor that did!” As an on-demand healthcare marketplace, are you responsible for the malpractice of the doctors listed by your site? How about as a healthtech company that advises patients on how/when to take meds, exercise, meditate, or seek medical attention? The short answer is yes, absolutely. Now that patients often interact with their healthcare providers via technology, it’s easy for technology companies to get roped into medical professional liability claims. When something goes wrong, any lawyer worth their weight will sue anyone involved in the malpractice situation, and the middleman is no exception. As you’re about to see, it’s important to get this coverage in place early in your company’s lifespan as well. I have Professional Liability Insurance – How Do I know If a Claim Is Covered? The act of negligence must have occurred after the retroactive date on the of the hospital’s policy (the first day the hospital carries continuous coverage onwards) and after the retroactive date of the doctor’s policy. Let’s assume a claim is made against Dr. Patel on March 1st 2017. This is within the dates of policy coverage. CHECK. Let’s say that according to the claim, the act of negligence occurred on 10/1/16. The retroactive period of Hospital ABC starts on 1/1/16. Dr. Patel’s retroactive period starts 8/1/16. CHECK. Finally, Let’s say Hospital ABC reported the claim to Founder Shield on 3/1/16. The hospital’s policy lasts until 4/31/16. CHECK. Dude, you’re covered. While many consumers have yet to discover its benefits, telemedicine is here to stay. In fact, healthtech revenues are expected to go from last year’s $18bil to $40bil by 2021, so it’s no surprise that these amazing companies keep getting funded by top tier investors. 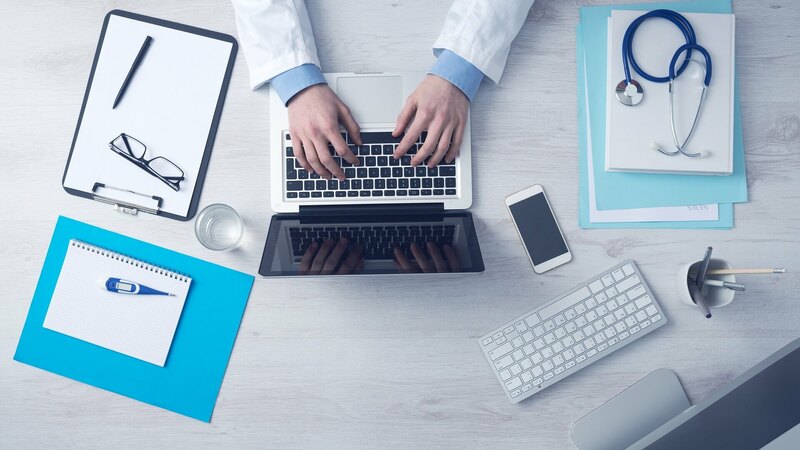 If you’re running a company in the healthtech or telemedicine space, we’re here to make sure you’re primed to succeed with the right healthtech professional liability liability insurance in place. When you start looking for business insurance, just reach out and we’ll be here to help!